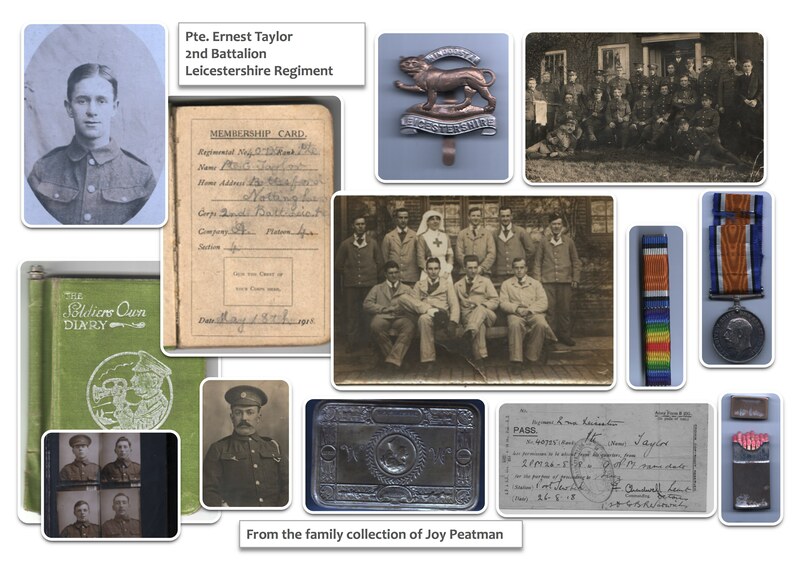 Photographs and documents contributed by Joy Peatman concerning the 1st World War Service of her grandfather, Ernest Taylor from Bottesford who served as a Private in the 2nd Battalion, Leicestershire Regiment. 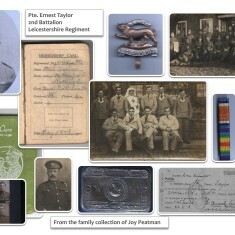 The collection includes a low resolution preview of ‘The Soldiers Diary’ kept by Pte. Ernest Taylor , 2nd Battalion, Leicestershire Regiment in 1918 giving details of his service in the Middle East. This preface includes items of advice, notes and diagrams useful to soldiers.